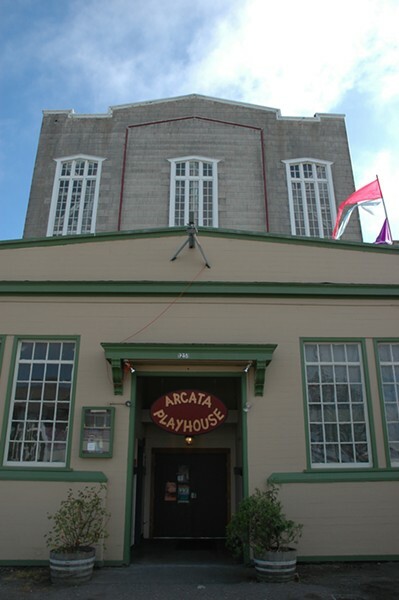 We love what Jackie Dandeneau and David Ferney have created since they took over a portion of the Old Creamery building in Arcata five years ago and turned it into the Arcata Playhouse. Between traveling and local theater companies, musical acts of all sorts, the Playhouse family series and work with youth, they've built the space into vibrant community resource. And they've done so at a time when grant and foundation support for the arts has become more difficult to obtain and nonprofits are often hard-pressed to hold onto staff and keep the doors open. So, we're happy to pass along their report of a new community collaboration between the Playhouse and a local Rotary group. The Playhouse is already a great place to see a show, but somehow it's going to get nicer. In the spirit of community giving the Rotary Club of Arcata Sunrise has taken on the Arcata Playhouse as a project for an extreme makeover or as they like to call it, a "SWOT Operation" (Serving With Our Talents)." In a two-phase project Rotary and the Playhouse will work together over the summer to accomplish a variety of tasks meant to both improve the overall aesthetic of the Arcata non-profit venue and address some of much needed electrical upgrades. The first phase of the makeover will involve a 10-day shutdown of the Playhouse from June 6-16 and will focus mainly on an electrical upgrade of the theater lighting systems, sound-proofing and a redesign of the concessions area. The work will then resume for the second phase of the project in mid-August when new curtains will be added, painting will be done and work on the concessions and lobby areas will be finished. Both organizations will be coordinating volunteer labor and acquiring materials donations for the project as well as fundraising efforts. In their fifth year as a community arts organization, the Playhouse has proven itself to be a great addition to the Arcata and Humboldt County cultural scene with exceptional music, theater and variety performances. 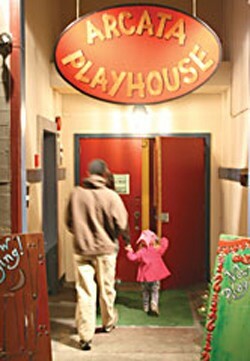 The Playhouse is also known for its family performance series, youth workshops and teen programs. "It is a dream come true," said Jackie Dandeneau of the Playhouse about the project. "We have worked so hard at getting this place going for five years that it is a real treat to have Arcata Rotary come to us and offer their help. I can't tell you how thrilling it is." After meeting Jackie at a Fire in the Belly event at the Playhouse in the fall of 2010 and seeing all of the great work that the Playhouse is doing for the community, Rotary member Barbara Browning approached the club about doing a makeover for the Playhouse. "The first project we did for the McKinleyville Family Resource Center was so successful on so many levels that we are inspired to do it again," said Browning. "Volunteers enjoyed and appreciated the opportunity to participate in something fun and meaningful, and a momentum of positive change was started at the Family Resource Center that can still be felt when you walk through the door there. "The Playhouse is a perfect venue for a ‘SWOT Operation' because of the broad spectrum of community members it serves, and because they have their own enthusiastic volunteer and member base to help complete such an ambitious project. It's incredibly exciting and rewarding to see what we are able to accomplish together as a community when we are able to focus our efforts." A musical fundraiser is planned for Saturday, August 6 with the line-up to be announced as well as on-going fundraising efforts at the Playhouse over the summer. If you would like to contribute to this project, tax deductible donations can be sent to Arcata Playhouse, 1251 9th Street, Arcata, CA 95521. If you would like to inquire about volunteering you can call (707) 822-1575.